Turkish-born curator Fatos Üstek has been announced as the new Director of Liverpool Biennial. She will take up her position in May 2019. The 11th edition of Liverpool Biennial will take place from July 11 to October 25, 2020, with guest curator Manuela Moscoso. Üstek is regarded as one of the rising stars in the international art scene. Having been associate curator for the 10th Gwangju Biennale in South Korea in 2014, she went on to curate the internationally acclaimed fig-2, 50 projects in 50 weeks, in London the following year and then Art Night 2017 in East London. She is an external member of the Acquisitions Committee for the Arts Council Collection (2018-2020). Most recently she curated Do Ho Suh’s largest commission in the UK for Art Night and Sculpture in the City. She is currently Director and Chief Curator of the David Roberts Art Foundation. 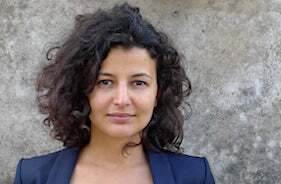 Üstek said: “I am thrilled to take up the role as Director of Liverpool Biennial. “Through ten editions, Liverpool Biennial has gained a reputation for being one of the most important contemporary art events accessible to the large national and international public. “I have been fortunate in my career to work with exceptional people and organisations including most recently the David Roberts Art Foundation, to whom I am immensely grateful. “In my new role I will be taking Liverpool as my point of reference, while reflecting on current global discourses and developments in the international arena. Kathleen Soriano, Chair of the Board of Trustees of Liverpool Biennial, said: “Üstek’s rich experience across different art forms and her international connections will enable us to build confidently on the achievements of our two previous directors, Lewis Biggs and Sally Tallant.